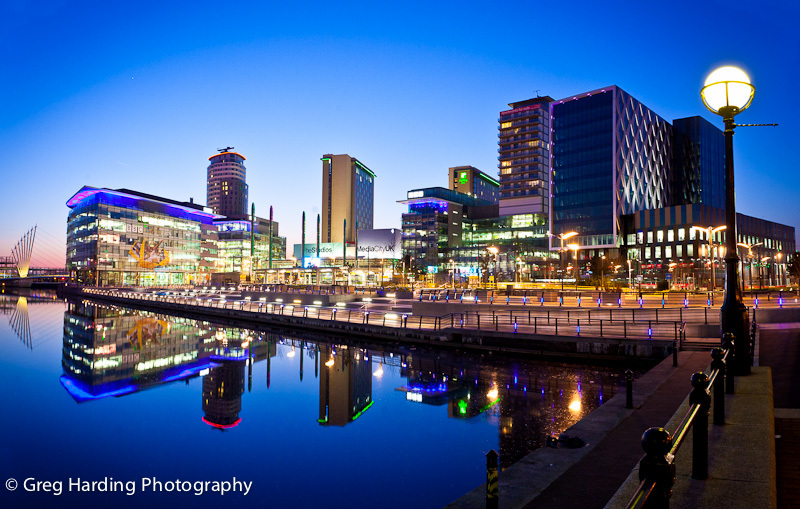 This image was taken at MediaCity UK as part of a series of recently commissioned night photography around Manchester. I’ve photographed a good many Manchester buildings at one time or another, but this one of the new BBC headquarters stood out as a bit special so I thought I’d share. This time of year is perfect for photographing outdoors at night or at twilight. The late evening light is beautiful to work with. The image above was created with a small amount of post-production in Lightroom and has not been anywhere near a HDR processor. If you’d like to have your business premises photographed at twilight, dusk or night time then get in touch.